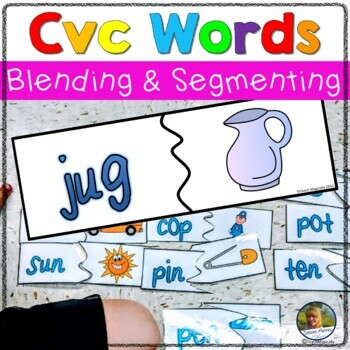 Practice stretching, blending, and reading cvc words. 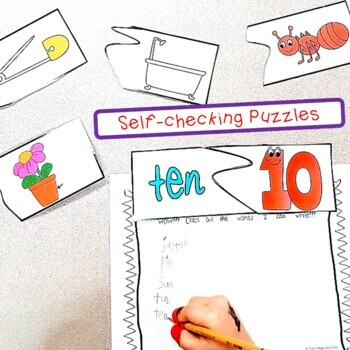 30 cute puzzles that self correct because of the cuts. 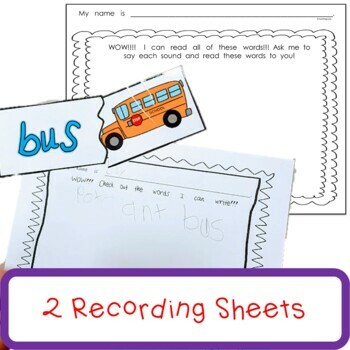 Recording sheet helps with home/school connection. Use whole group or at centers! A must for beginning readers for practice! Try it! Check out the preview to see the puzzles. 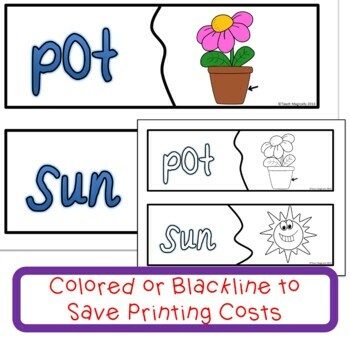 Just print, laminate, cut and you have a center to use all year! Your satisfaction is my TOP priority!! If you have any questions or concerns, please email me. debora.maines@gmail.com I will help you in any way possible! or just drop a note to say hi! •	Look for the green star near the top of any page within my store and click it to become a follower. New products are always 50% off for the first 24 hours they are posted. It pays to follow! (c) 2016TeachMagically. Permission is granted to original purchasers to reproduce material as designated only for their own classroom use. No other part of this work may be reproduced in any form or by any electronic or mechanical means including information storage and retrieval systems without permission.